It’s easy to confuse the role of a travel guide writer like me with a tour guide or trip planner, since – at least in my case – I’m offering more than just museum ticket prices or open hours. I’m forthcoming with my opinions and suggestions for traveling through Italy. But it’s important to understand that there are some elements of your trip that a tour guide would handle that I will not. I get questions from readers on a regular basis, many of which are outside my purview. I want to be helpful, I really do. But explaining repeatedly why I don’t cover something takes away from the time I could be spending on writing new articles or books, not to mention the fact that there are other people or services who already handle certain travel tasks really well. Not only is there no point in re-creating the wheel, I want to focus my time and energy on the things I do best. I think that’s the way I can be most helpful to you. I wanted to explain a bit about why I’ve chosen to leave some pretty important components of a trip out of what I do, and – when possible – point you toward resources that will help even more with those things. I hope y’all understand where I’m coming from; please reach out with feedback if any of this doesn’t make sense. I don’t live in Italy, and even if I did it would be extremely challenging to keep up with the ever-changing world of lodging all over the country. Not only that, everyone’s idea of a “good hotel” is slightly different, and I wouldn’t presume to know the “best” option for every traveler. I prefer to give you the tools you need to find the best lodging for your style and budget – you’re just as likely to find an excellent hotel or B&B that I’ve never heard of. If you think the accommodation landscape can change frequently, the restaurant scene is even more volatile. I feel like there are more long-standing favorites in Italian cities than in many of the US cities I visit, but there are also outstanding newcomers popping up all the time – and, again, I don’t live in a place where I can keep up with all of them. How much emphasis different travelers place on food varies wildly, as well. Personally, I prefer to splurge on a great meal than on a shopping spree, but even my definition of “splurge” isn’t applicable to all travelers. And I’ve talked to some people who said they wouldn’t cross the street for a so-called “great meal,” let alone cross the globe. There’s no way I could keep up with every dining fancy and stay sane. I want you to choose a restaurant that looks good to you, based on the knowledge you gain on these pages about Italian food. I’m a writer. I’m not a tour guide. I have never wanted to lead a group of people on a trip (even doing that with family is a stretch), and the idea of planning a trip for someone else – a trip I don’t get to go on, but for which I’ll be blamed if anything goes wrong – has never sounded appealing. Whenever I get asked to help someone decide between cities A, B, and C, or narrow down choices for an itinerary, or choose between different train routes, or any number of other things that are real nitty gritty trip details, I pass along what I’ve written about how to plan an Italy itinerary for any trip. I will sometimes make suggestions, but – as I like to say – I want you to own your trip, and I believe you can’t do that with 100% gusto if you’ve left the decision-making to someone else. No one travel guide is right for every traveler. I have no doubt that by not providing these things I’ll lose some readers who just want someone else to handle all the details. And that’s fine – that’s what travel agents and trip planners are for, and I am neither of those things. For those of you with a bit of a DIY spirit who kind of like research and just want a head-start with some insights on Italian culture, look no further. I am, as I’ve said before, your resourceful travel cheerleader. I want you to have a superb time in Italy, traveling confidently and spending less time being confused because you learned valuable tips beforehand. If I can help you achieve that, then I’ve done my job – and you have, too. Good for you to set limits on what is your writing and what are excessive requests from people who really don’t want to explore, but have it all spelled out. Where’s the fun in that! I hope you don’t get negative backlash from such this posting. Feels a bit negative, but also feels very well stated. While I am reasonably fluent and have been to Italy perhaps 20 times (business, family visits, touring/hiking), I draw the line at having friends want me to plan the trip or to play guide or interpreter. My language is good enough for me/spouse, but I’m not gonna enjoy vacation when I’m accountable for everyone else’s quirks. No, you haven’t lost me at all! You provide a ton of information on your site and your books with excellent explanations and tips, as you say, for the DIY traveler or for someone who would like to know more about traveling to Italy in general. 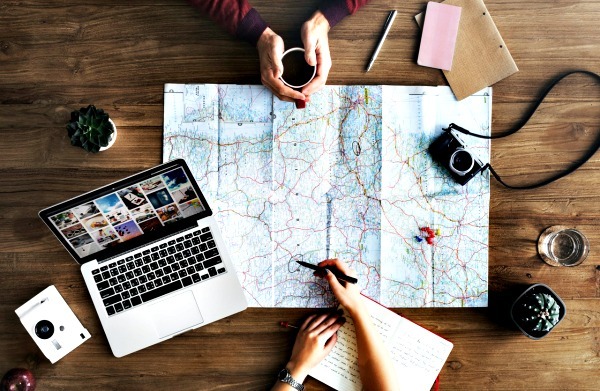 Trip planners charge fees for specific services and many have relationships with hotels, restaurants, etc., so they earn money from their very specific advice in one way or another. Thanks for the kind words, Karen! I have affiliate links and advertising on the site – I’m not doing this solely for fun, after all 😉 – but I try to make it clear when links are to affiliates… And it doesn’t cost the customer any more to book a tour or train ticket, for instance, from my links than it does to book them directly. Have used your information as a resource….very helpful! I’m so glad it’s been helpful, Linda!